With an eye toward empowering and inspiring kids, Chelsea Clinton explores some of the biggest challenges facing our world today. Using data, charts and stories she unpacks challenges related to Poverty, Climate Change, Gender Equality, Health, Endangered Species, and more and talks about what's being done to make a difference in each area -- particularly by kids and teenagers. 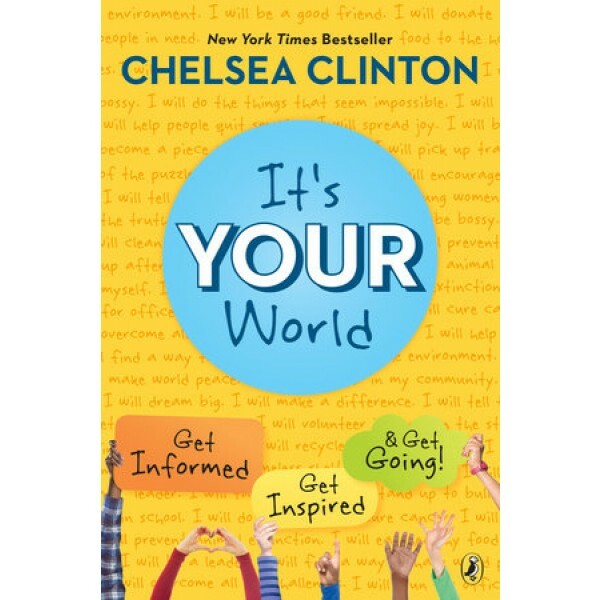 With lots of suggestions and ideas for action, Chelsea Clinton shares her passion for helping others and shows readers that the world belongs to every single one of us, and every one of us counts -- no matter how young. You can make a difference. You can make a change. 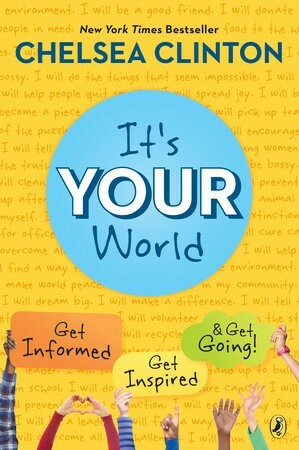 It's your world.